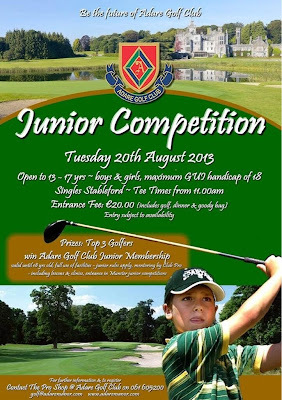 As Ireland’s number one parkland this is a great opportunity to play a thrilling and beautiful course, but it is also an opportunity for 13-17 year olds to test themselves and experience a competitive golfing environment. The maximum handicap is 18 (official GUI handicap) so it’s open to a vast number of young golfers. You don’t have to be brilliant to enter, you just have to love golf. In the adult game, worldwide, the average handicap is 16. 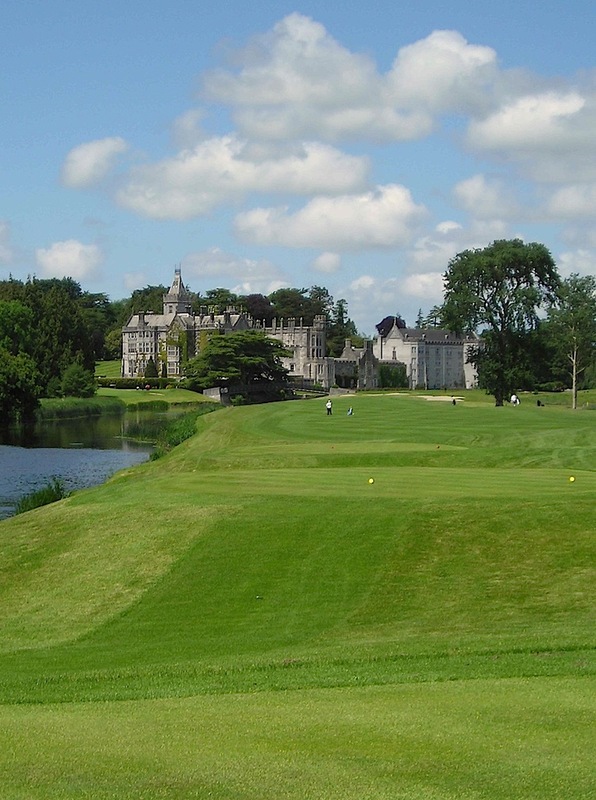 It is encouraging, therefore, to see a course as good as Adare introducing a tournament which embraces this by actively encouraging higher handicap Junior golfers to participate. The cost of entry is a mere €20, which includes dinner and a goodie bag, and there are great prizes to be won too. Contact 061 605200. Tee times on August 20th start at 11am. Adare is a 2 hour drive from Dublin and is one of the prettiest villages in Ireland. The hotel is also of the 5 star, glamourous variety so there's plenty to do to while Junior is out playing Ireland's best parkland course.